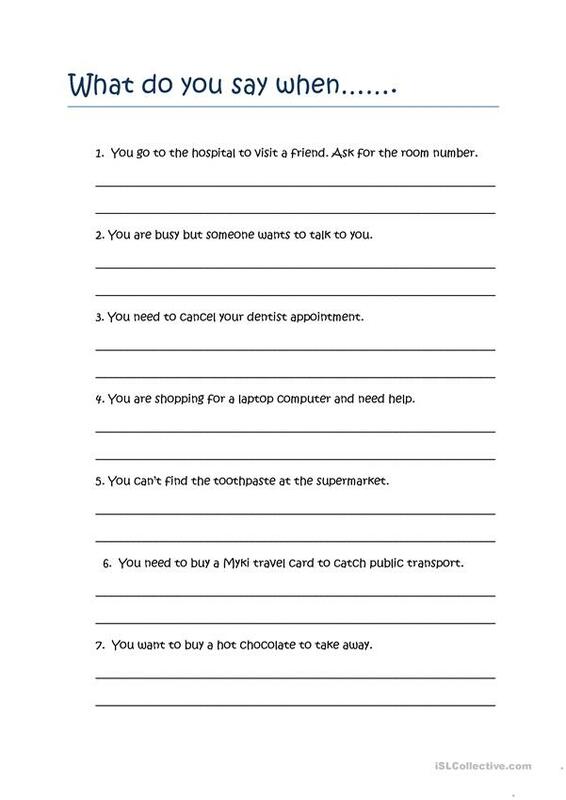 Part of a Real English unit which allows students to practise using expressions needed when carrying out everyday tasks eg Asking for help in a store, asking for a room number at a hospital, etc. Brainstorm possible questions as a class and decide which is the most polite or the most commonly used. The present downloadable teaching material is recommended for adults at Beginner (pre-A1), Elementary (A1) and Pre-intermediate (A2) level. It is useful for honing your class' Speaking and Writing skills. It focuses on the vocabulary topic of Culture, intercultural communication, cross-cultural communication. Hi there. After initially starting out as a LOTE teacher (Italian + French) in secondary schools, I moved into the adult education sector 10 years ago. I'm currently teaching English to new arrivals and it's is truly an incredibly rewarding experience.